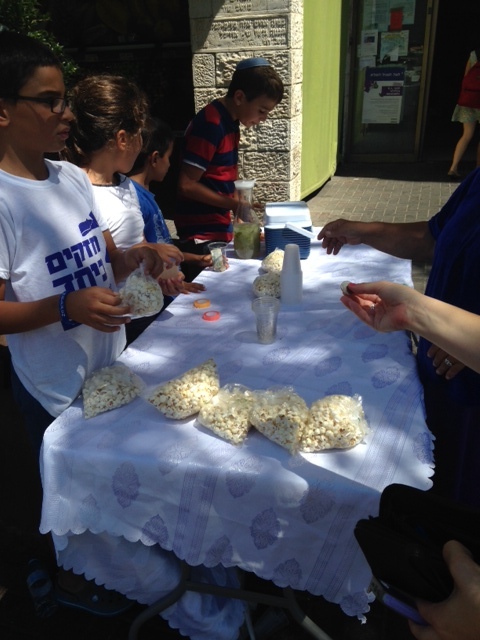 As mentioned previously, Emek Refaim is the main road going through the German Colony in Jerusalem. The street is packed with shops, restaurants, cafes, and people from places including – but not limited to – the United States, France, England, Germany, and of course Israel. 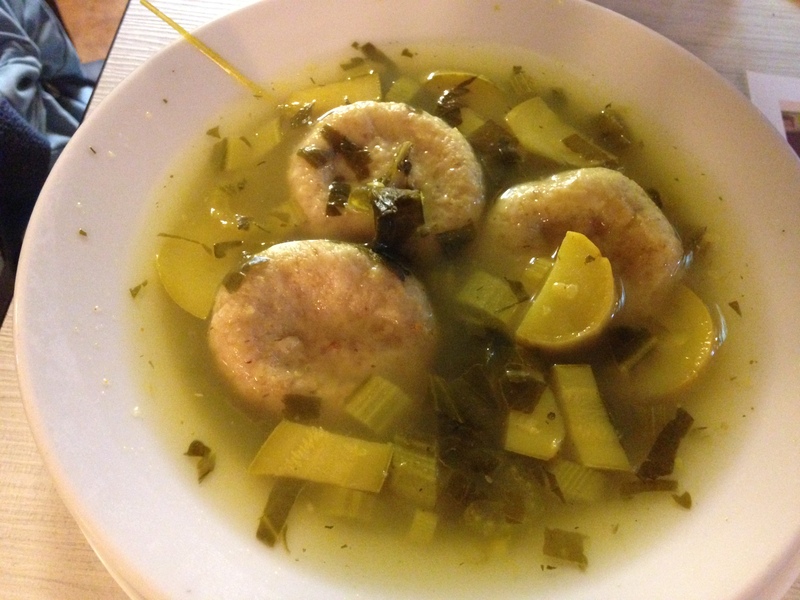 Emek Refaim is only about a 10 minute walk from my apartment, and the Ulpan that I’m attending is on Emek, so it’s been easy enough to check out some of the enticing eateries lining the street. 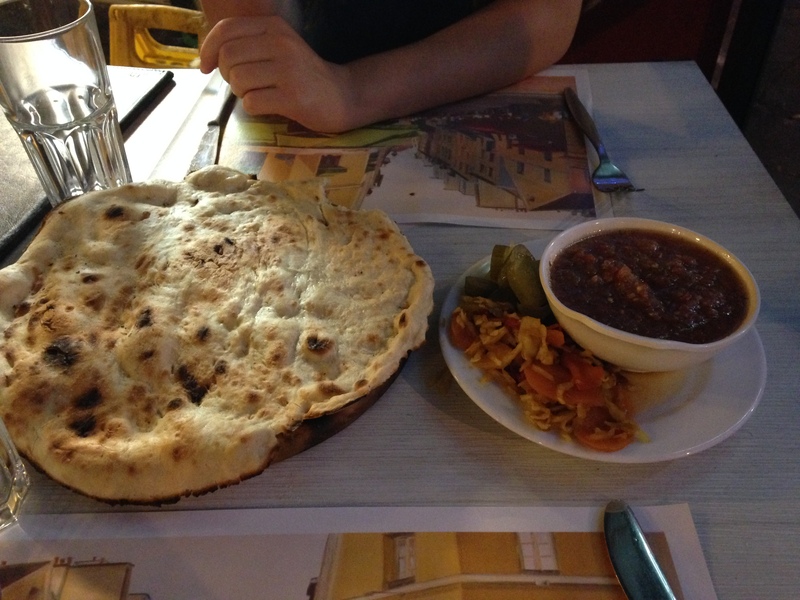 Last week, I went to a couple restaurants on Emek with a friend. 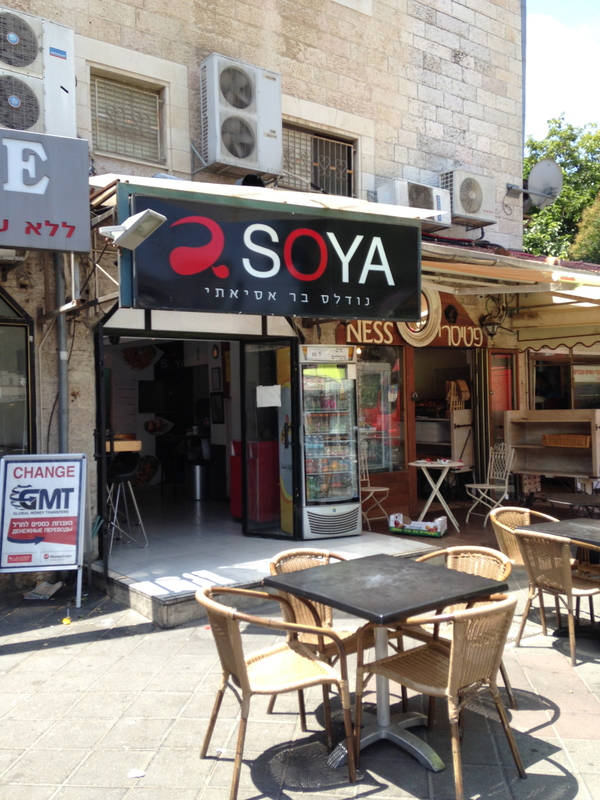 Despite the long-standing joke about American Jews loving Chinese food, there are not too many Chinese restaurants here in Jerusalem. There is, however, lots of sushi! 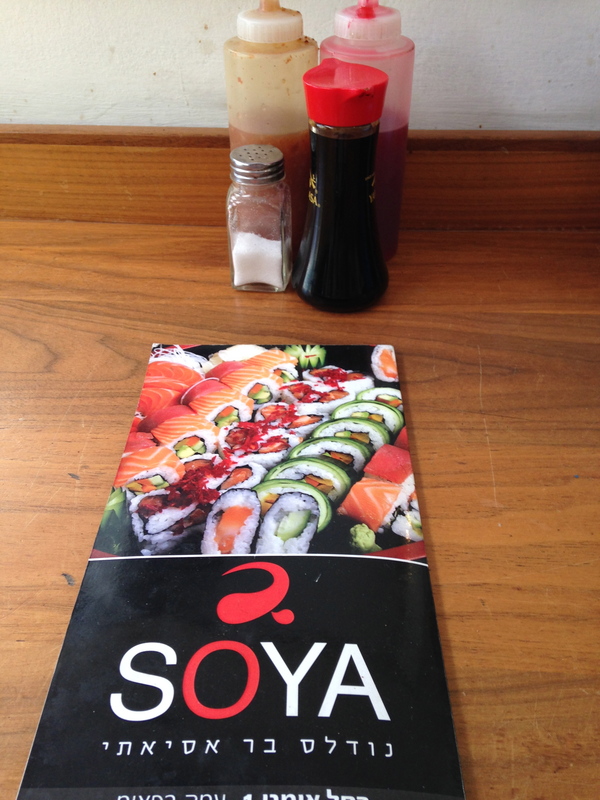 An exception to the hard-to-find-Chinese-food rule is Soya, located on the corner of Emek Refaim and Rachel Imenu. 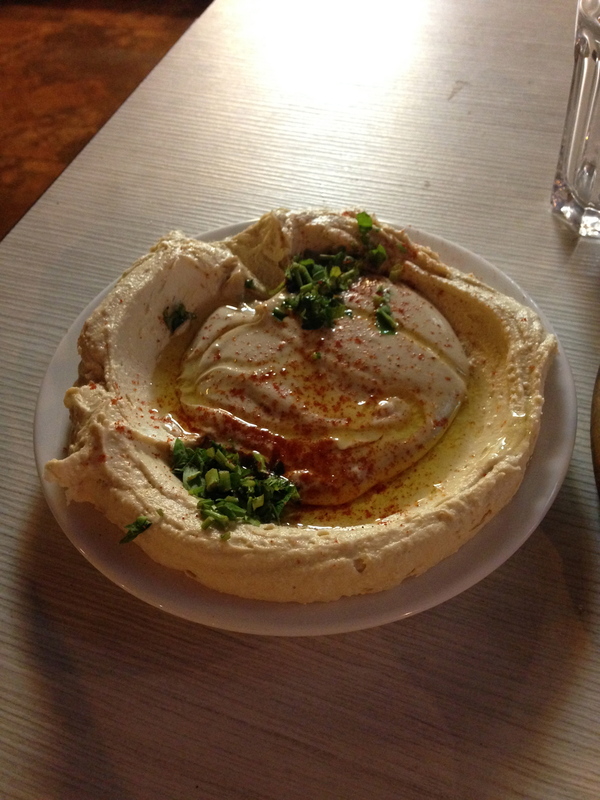 Many Israeli restaurants have lunch time specials that include salads or other appetizers free with your meal. 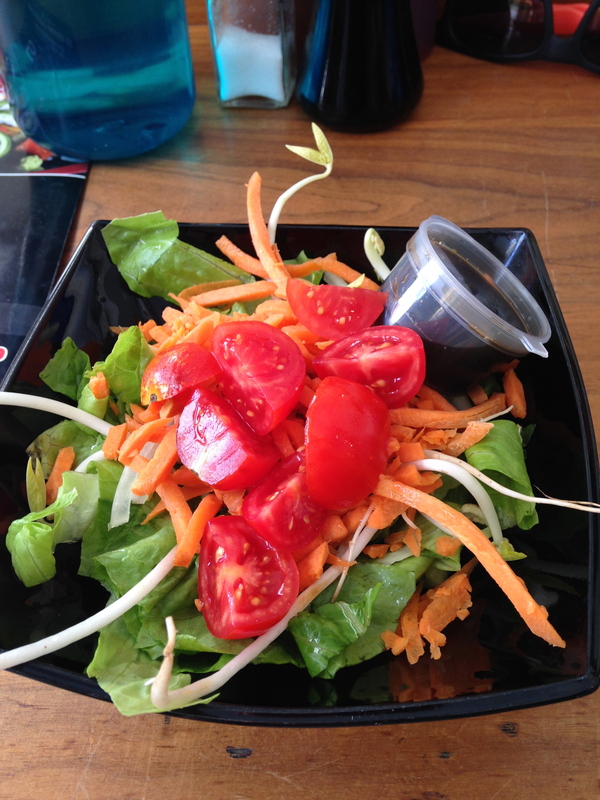 So, since we were there for lunch time, our meal started with a small salad. 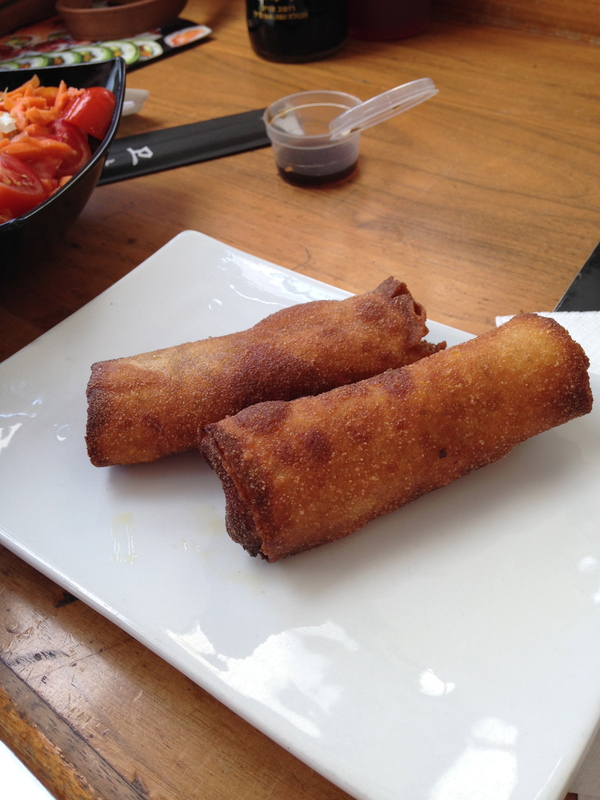 We also shared an order of vegetable eggrolls. 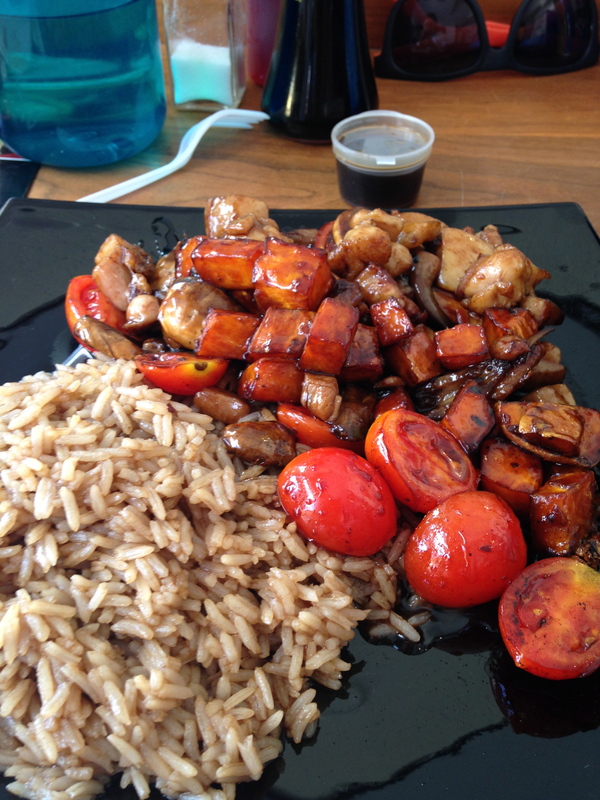 For our meals, we ordered mandarin chicken and a house chicken dish served with tomatoes, sweet potatoes, mushrooms, and a honeyed date sauce. 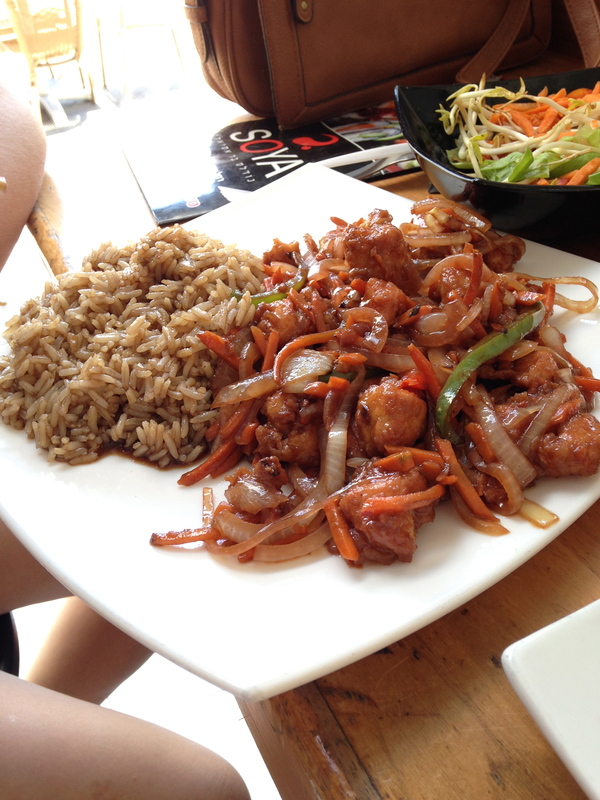 Both meals were served with rice that seemed to have been cooked in soy sauce. The food was good although there was a lot (especially for lunch!) so we took home leftovers. For the meal, we ordered chamusta kubbeh soup (ground meat filled dumplings with celery, summer squash, and a flavorful broth) and an appetizer sampler which came with fried kubbeh (balls of dough filled with ground meat and fried), moroccan cigars (ground meat wrapped in phyllo dough), vine leaves stuffed with rice, and something that seemed like a fried wonton but I don’t know exactly what it was! 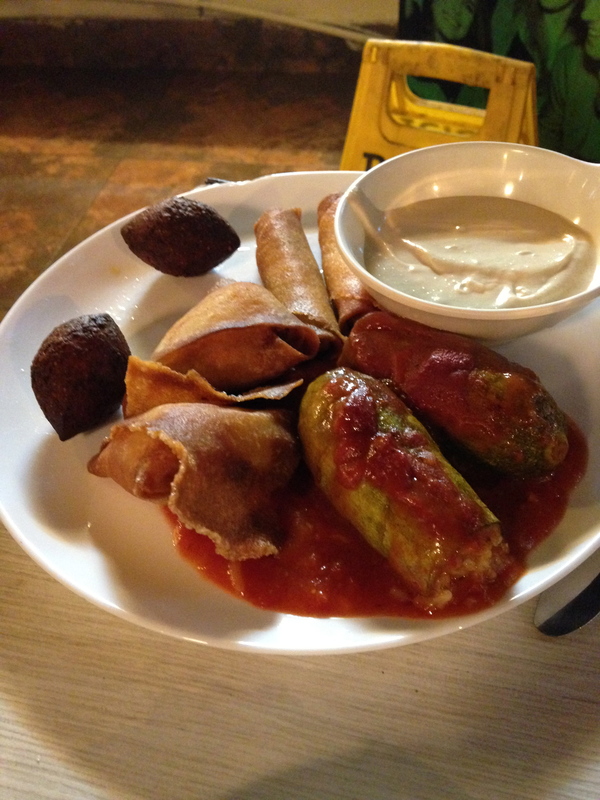 The appetizers were served with a sweet tomato sauce and tahini. Every Friday, Marvad does a take-away buffet for Shabbat where people can buy breads, desserts, and all sorts of prepared appetizers and entrees to have and serve over Shabbat. I recently realized that there’s a coupon book in my apartment which includes a 10%-off coupon for Marvad Haksamim Friday take-away…so maybe I’ll have to try it sometime! 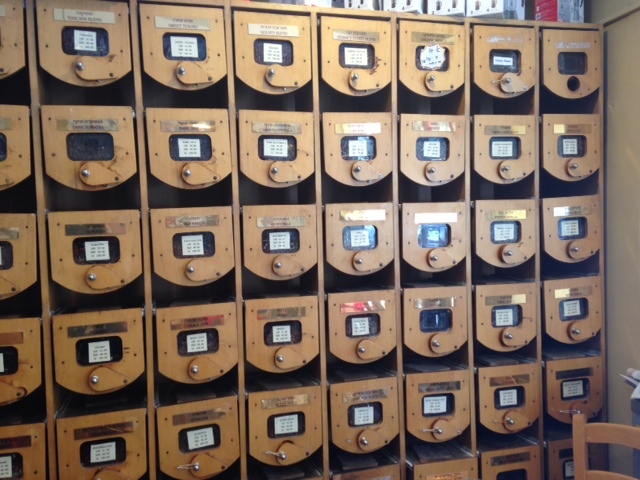 And for coffee…The Coffee Mill is a welcome sight for anyone who likes a plain old cup of coffee. 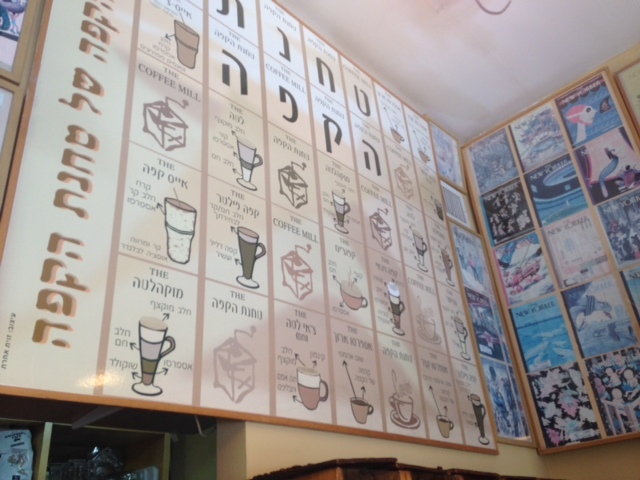 While espresso beverages and cafe culture are in top form, a plain cup of coffee seems to have been left behind in Israel. If you want just a regular, non-espresso coffee beverage, then you’re generally faced with either instant Nescafe of Turkish Coffee which – despite having gone through a more complex roasting process – is extremely similar to Nescafe except with smaller grounds. 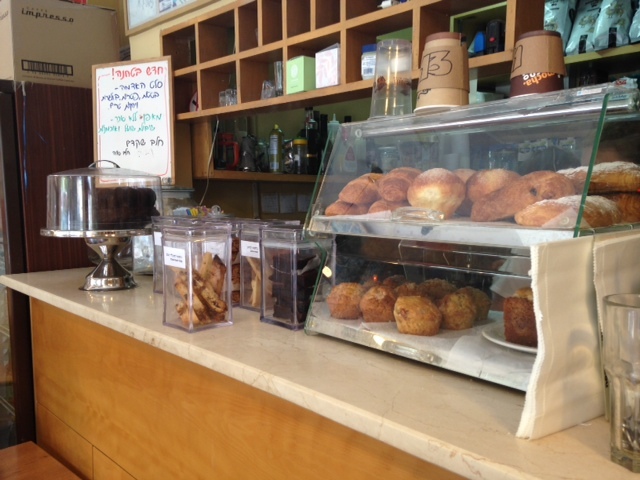 The Coffee Mill, however, offers a wide selection of espresso AND coffee beverages. An entire wall of the shop is devoted to beans in multiple flavors and from all across the world for people to buy by the kilo and take home. But don’t worry – lest you think plain coffee makes things boring – The Coffee Mill still has a wide selection of exciting espresso beverages and yummy treats.